Listed below is the contact information for the NPAA Board of Directors and Officers. Feel free to contact any of the Board members with questions you might have and they will respond as soon as possible. 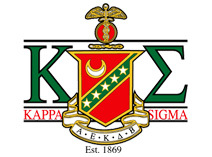 If you just have an general inquiry about the alumni association, upcoming events, or how you can volunteer, you can reach us at kappasignuprime@gmail.com.